Interfaith Community Services » Sign up to “Adopt-a-Family” this holiday season! Sign up to “Adopt-a-Family” this holiday season! Every year, the most disadvantaged individuals and families served are nominated by staff for the Holiday Adopt-a-Family program. The individuals and families are then anonymously matched with generous “adopters” who fulfill their wishes for the holiday season and provide them with unimaginable comfort and support. Adopt-a-Family is a large-scale effort requiring a lot of time, work and goodwill! You can play an important part in making this the most successful year ever by volunteering your time and/or organizing a group, your company, faith center or family to participate in the program. To sign up to adopt, please click here or visit www.interfaithservices.org/holidayadopt and complete the online Adopt-a-Family form. You will then be matched to your family or individual, and provided with detailed information about their holiday wishes and gift drop-off procedures. If you are unable to complete the online application, please call or visit our headquarters to fill out a hard copy form: 550 W. Washington Ave., Escondido, CA — (760) 489-6380. If you or your group do not wish to shop this year, you can still make a difference by donating to the Holiday Adopt-a-Family program via check or credit card gift. To donate online, click here and select “Holiday Adopt-a-Family” from the drop-down menu. 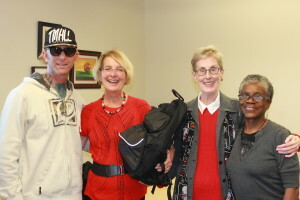 Thank you for your generosity to our most vulnerable community members!